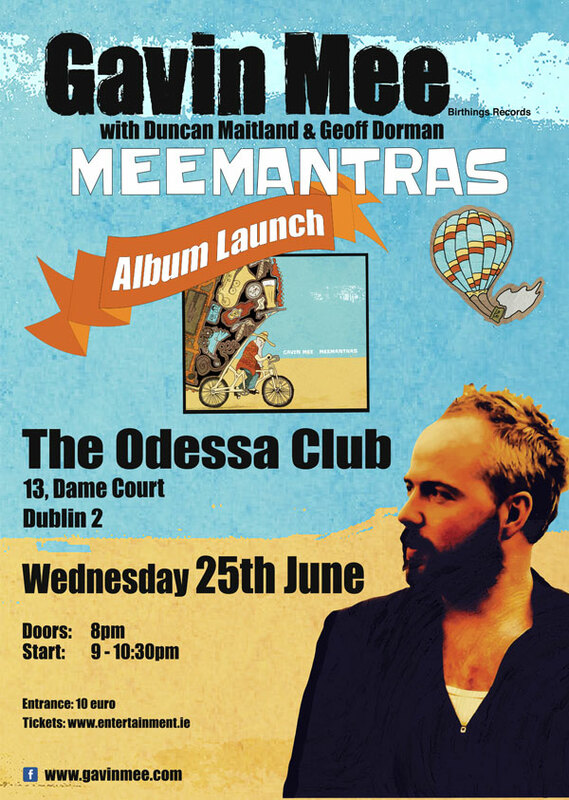 Ladies and Gentlemen,Ill be releasing my new album ‘MeeMantras’ with a launch tonight in the very special and intimate ‘Odessa Club’. Accompanying me will be musicians par excellence Duncan Maitland and Geoff Dorman. Doors from 8pm onwards and entrance is 10e.